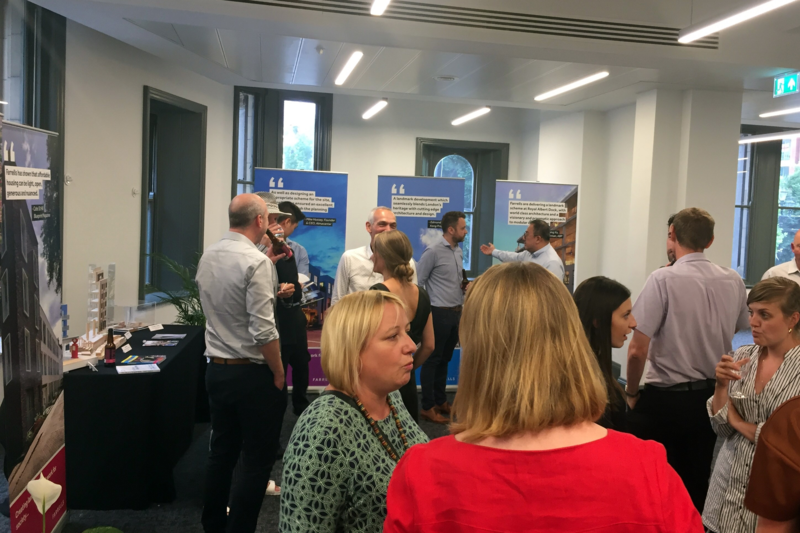 Earlier this month Farrells launched our Manchester office with a summer party and exhibition, offering a sneak preview of the Northern Gateway project. A number of ongoing and completed projects were displayed including models, books and images. Lisa Kinch introduced the new office and Neil Bennett presented Farrells’ previous projects in Manchester and the North. Max Farrell talked about a range of Farrells’ national and international schemes. He also presented extracts from the Northern Gateway Strategic Regeneration Framework, which will be consulted on at public events over the summer. The party coincided with the World Cup semi finals and we celebrated, at least for a short while, that the football seemed to be ‘coming home’. Food and drinks were provided by the Runaway Brewery, located in the southern part of the Northern Gateway, and local street food masters The Ottö-Men. See more on our Northern Gateway project here. This is a really exciting time for us to be launching a new office in Manchester. We are delighted to be involved in the Northern Gateway masterplan. It has been an incredible opportunity to shape one of the UK’s most ambitious regeneration projects, with a vision to deliver 15,000 new homes in the unique landscape of the Irk Valley. This city has fantastic energy and aspirations and we look forward to being part of its future, working with our clients to turn these aspirations into a reality and delivering landmarks that work for Mancunians. 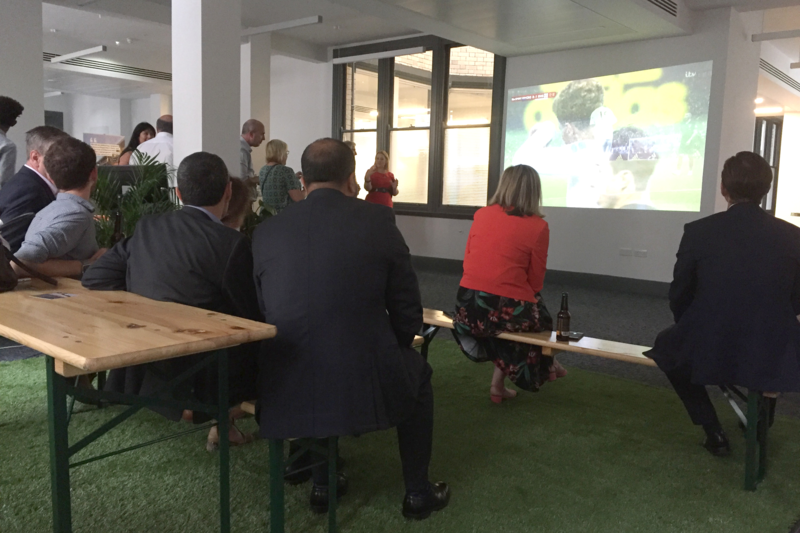 Beers, football and an in-depth look at Farrells’ most ground-breaking schemes – what could make for a better evening! The football got our flags waving and hearts racing!